We stock a range of paper available to order online with immediate worldwide shipping, unless otherwise stated. 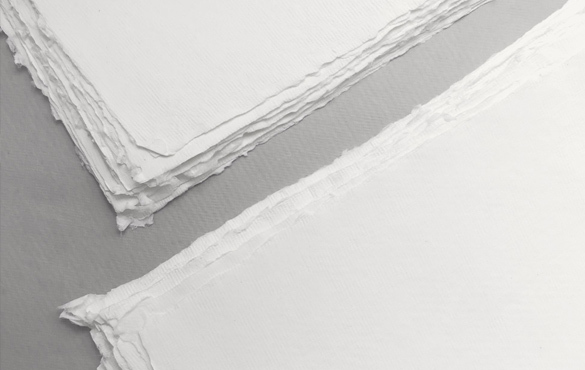 Our handmade deckle edge paper is ideal for wedding invitation, dining, and correspondence suites, with use for calligraphy, digital printing, letterpress, and light watercolour. These pieces are acid-free and have a luxe finish. Available in 7 colours and 7 sizes including 4-Bar and 5" x 7". 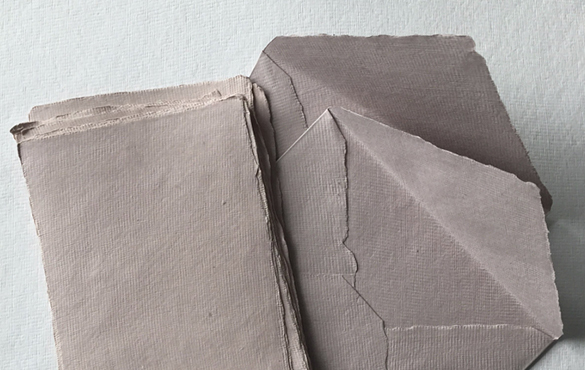 Designed to complement our handmade deckle edge paper. Our range of envelopes are available in 7 colours and 4 sizes, including 5¼" x 7¼". A saving of 15% to customers that have previously ordered 1,000 pieces or more. These savings are based on previous completed orders from the last rolling 90 days and are automatically applied to our prices online. Previous purchases can be for any colour, size, or grade.